Maureen represents health care providers in business transactions, medical staff and peer review matters, reimbursement appeals, fraud and abuse investigations and business disputes. She advises and litigates matters involving certificate of need, facility licensure and certification surveys and penalty appeals, and other health care regulatory matters. She also counsels hospitals, long-term care facilities, home health agencies, and physician groups on matters such as corporate compliance, EMTALA, credentialing, HIPAA, patient care, risk management and acquisition of facilities. A recognized authority on health law topics, Maureen has spoken to the American Health Care Association on nursing home survey and enforcement and liability issues. She has presented for the American Health Lawyers Association on long-term care liability and risk management issues. She has been a speaker for the North Carolina Association of CPAs and North Carolina Health Information Management Association on HIPAA and confidentiality of medical information. She has also spoken for the North Carolina Health Care Facilities Association, the North Carolina Hospital Association, and Virginia Health Care Financial Management Association on HIPAA, corporate compliance, EMTALA, liability, medical staff and certificate of need issues. 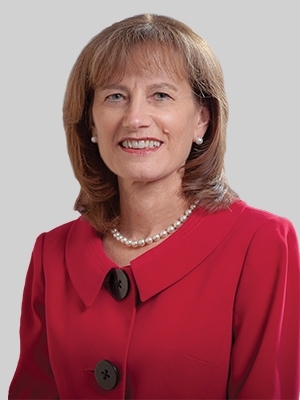 Maureen was a partner at Smith Moore Leatherwood LLP, which merged with Fox Rothschild in 2018.